Milota Sidorova – consultant of urban projects and strategic development, initiator of WPS Prague, member of founding groups, Prague. Milota is a professional moving within interdisciplinary aspects of city and urban planning. She studied landscape architecture, urban planning, graphic design, film production, urbanism, methods of social research and human resource management in different schools around Europe, Asia and America. She was a founding member of international festival about urban planning – reSITE festival and its coordinator between 2011 and 2015. In 2013 she was one of the founding members of Ladime Prahu, the association of Prague festivals with regards on public space. In 2013 she was awarded Fulbright scholarship to study urbanism in New York City. In 2014 she finished doctoral studies in landscape architecture on the topic: Catalytic impacts of markets on public spaces. 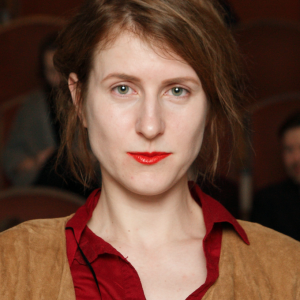 Since 2012 she has been mapping actors in non-governmental sector engaged with public space in Bratislava and Prague. In 2015 she co-founded initiative Women. Public Space. Prague – a network promoting active women in architecture, urban planning and development of community life. Milota also lectures at various universities and institutions across Central Europe. She cherishes interdisciplinary research that she likes to combine with execution of different projects. Her focus often lies on communication, facilitation, coordination, role of the culture in urban development, sector blending with particular interest on empowering non-governmental sector, civic initiatives and individuals in the field of urban development.